Learn more about Magoosh or read Magoosh articles on BTG. Gimmicks abound in test prep marketing and products, and there’s no shortage of books that will promise you a “top score” in Quant. Is Manhattan GMAT Advanced Quant one such gimmick product? For the most part, the answer to that question is “no.” This book is not gimmicky, but rather a solidly useful math resource that many students can benefit from. But the book isn’t perfect, of course–no test prep book is. Let’s take a closer look at this book, its features, its merits, and its minor gimmicks. Next come four chapters that focus on the two major question formats in GMAT Quant: Problem Solving and Data Sufficiency. Chapters 1 and 2 cover principles and strategies/tactics for Problem Solving. And from there, Data Sufficiency gets its own principles and strategies/tactics chapters. In Manhattan terminology, “principles” refer to broad approaches that apply to all or most problems in a given question format. Principles discussed include making sure you understand every bit of information in the problem, doing your work on scratch paper, etc…. Strategies/tactics in this book include backsolving, picking numbers, eliminating answer choices through logic, and so on. The four chapter rundown of the principles, tactics, and strategies for top accuracy in PS and DS is labelled as “Part 1” of Manhattan GMAT Advanced Quant. Part 2 consists of Chapters 5 through 8. The second part of Manahattan GMAT Advanced Quant covers a variety of math concepts and ideas that are equally important in Problem Solving and Data Sufficiency. This part can be seen as a general field guide to GMAT Quant. Immediately after that comes the similarly holistic Part 3. Part 3 consists of just one long chapter. Chapter 9, called “workout sets,” is exactly what it sounds like. This final chapter is an extended section of GMAT Quant practice problems. This book uses a lot of terms and ideas you may not have seen elsewhere. But it defines every novel idea clearly, with examples of how these ideas can be applied to real GMAT Quant questions. For instance, in Chapter 0, the book talks about the idea of using your “top-down brain” and your “bottom-up brain.” The book doesn’t just explain that “top down” refers to deductive logic while “bottom up” refers to intuition and snap judgments. It also has multiple flow charts showing how these two kinds of human thought can be used together to solve difficult math problems, step-by-step. Every aspect of math approach and strategy is in here. I can’t think of a single “go to” trick of my own as a tutor that this book doesn’t also teach. And the book had countless additional insights I now plan to share with my students. As with other Manhattan materials, the Quant problems here are spot on. A wide variety of question types are represented, with focus on medium-and-harder difficulties. And within that range, the format, conventions, and tone of the practice sets match very well to the real GMAT. The answer explanations are thorough, accounting for the reasons behind every right and wrong answer. In addition, multiple approaches and strategies are explored in the explanations. I would say that the explanations here are even more complete than the also-wonderful Quant explanations in other Manhattan books. The formulas, theorems, patterns and so on that are used in GMAT Quant are touched on here, but they aren’t really the focus. Admittedly, in the introduction, the writers say this book is for test-takers who are already fairly knowledgeable about math, and want to up their game. But even the best GMAT Quant students can forget a formula or math fact now and again. So an index reviewing the academic facts would have been a nice addition to the book. This isn’t necessarily a bad thing. But when the introduction indicates that the book is only for people who’ve scored a 47 or higher in GMAT Quant, it’s a bit misleading. Manhattan GMAT Advanced Math, when paired with other Manhattan GMAT math books that are more content heavy, could be helpful even to beginner and intermediate GMAT math scholars. 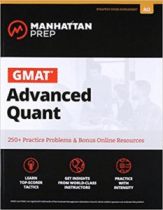 The post Manhattan GMAT Advanced Quant (Book Review) appeared first on Magoosh GMAT Blog. 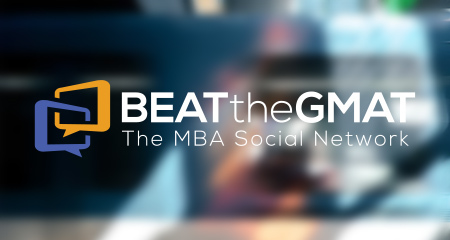 If you liked this article, let Magoosh GMAT know by clicking Like. The author Magoosh GMAT gets email notifications for all questions or replies to this post.